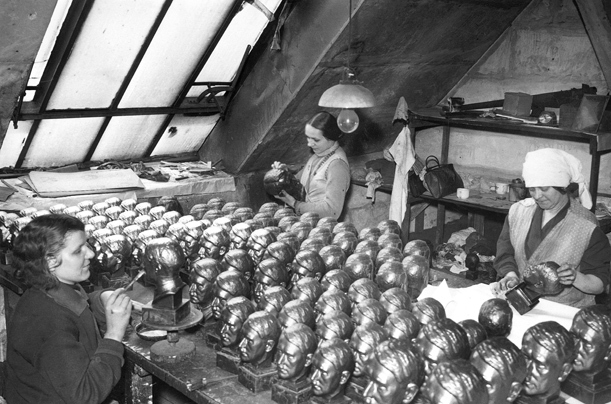 Female workers make Adolf Hitler busts out of artificial stone. The one he favored over all others that were produced was by the famous sculptor Ferdinand Liebermann. This is one of the items in "Hitler and the Germans  Nation and Crime," which is on display at the German Historical Museum until Feb. 6, 2011.